These miraculous accounts and twenty-nine more are recorded in Miracles: 32 True Stories. "Almost every month I get a request to either read or edit a book or booklet, and to be honest, I dread to see them coming, because most of them are hardly worthy of a positive recommendation. 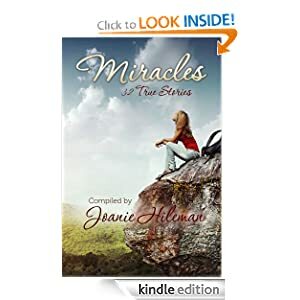 When Joan asked me to read her Miracles, I was not looking forward to reading it at all ... much to my surprise I could not stop reading it until I had read the entire book. Each story was different enough to keep my interest, and God's finger-print was all over each of the stories told. There was never one bit of doubt who authored each of those stories..."